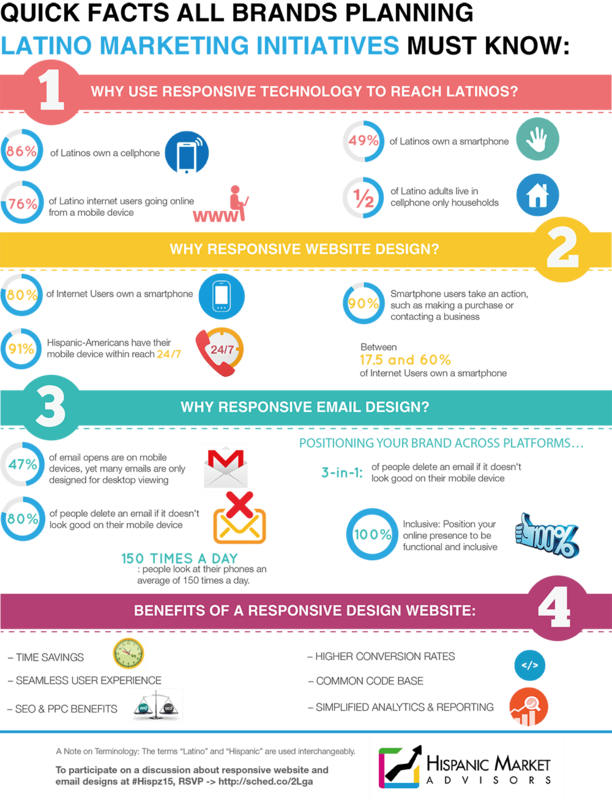 As shared on this page, there has been a big push by digital marketers to use responsive or mobile-friendly design in their email communications with their contacts and subscribers given that mobile opens have increased by 24% in the last 12 months (from 41% to 51%). But to gain a deeper understanding, how are mobile readers interacting with emails? Nearly one-quarter of people who open on a mobile device will open an email again. But it’s still more common for that second open to be on a mobile device than it is on a different device: 70% will stick with their mobile device, and 30% will go elsewhere. So does screen size really factor into the way readers consume content? The data certainly suggests so. Please contact us via the small form on this page, so that we may discuss your special needs and customize our email marketing services to power up your Latino marketing efforts.